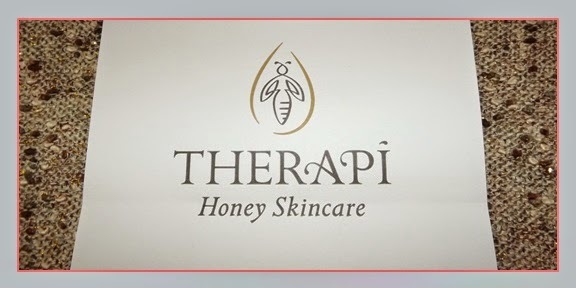 Therapi Natural Products aim to produce natural and organic honey skincare and this stems from the company's love of bees! The result is a high-quality range of skincare, which definitely has the luxury feel. The company definitely has an inspiring story - the brand's founder and director has been a beekeeper for more than 25 years, but what is more inspiring is that Therapi donates 5% of their profits to bee support conservation projects. As they say on their website, Therapi skincare aims to: "benefit not only the user but also the natural world in all its diversity and splendour". 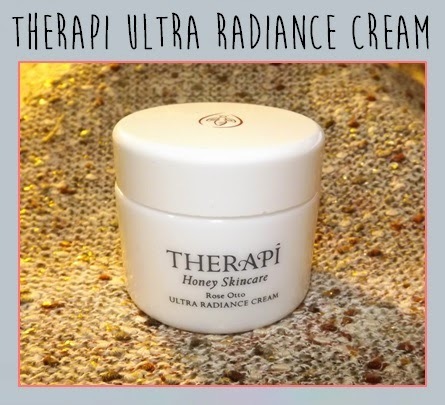 I've been trying their 'hero' product, the Therapi Ultra Radiance Cream, and it's been a great introduction to the brand, for me - so let me tell you all about it! Therapi has three main skincare lines for different skin types. I chose the cream in the Rose Otto line which is nourishing and recommended for dry or mature skin. The winter air is always so drying on my skin so I wanted to use this to hydrate my face over night. The other lines are Orange Blossom (balancing, for normal skin) and Lemon Myrtle (purifying, for oily or combination skin) - so there's something for everyone! The radiance cream is made with organic propolis, honey, rosehip oil, shea butter and rose extracts. Propolis is found in the buds of trees and is a resinous substance - honey bees collect this from the buds themselves or other botanical sources. The bees use it for structural purposes in the hive, but propolis has been used in traditional medicines throughout history. It promotes natural production of collagen and enhances elastin synthesis in the skin - this gives the cream an anti-aging property as well as keeping your skin looking radiant and full of life! The propolis is also rich in antioxidants and combining that with the vitamin-rich rosehip oil means that the cream is incredibly healthy for your skin - and is all natural! The cream is made with 90% organic ingredients and is free from parabens, SLS, petrolatum, silicons, artificial fragrances and colourants etc. Now on to how it performs! I've been using this cream every night after cleansing, but you can use it for a day-time moisturiser as well. The cream itself feels so creamy and luxurious! It's incredibly soothing on your skin and is really easy to rub in. The smell is hard to describe - it smells 100% natural in that there's no artificial scents. There's a slight fragrance to it, which I think is coming from the rosehip oil - but it's beautifully subtle. It definitely smells quite creamy and very luxurious - I love falling asleep with this on! I've been using this nightly for about 3 weeks now and when I wake up my skin looks more refreshed and more "awake" than it usually does in the middle of winter! Using it as a treatment, I have been putting on a thicker layer on my dry patches of skin and within a couple of days I noticed a massive improvement. Before I let you go, I just wanted to make one more comment on the packaging - because it is too pretty to not get a mention! I included a picture of the box above which, as you can see, is just really elegant. I adore the brand symbol of the bumble bee! The pot itself is gorgeous and would look so sweet on any dresser table. It's not made of cheap plastic - it's well built with some weight behind it. I'm not sure if it's a ceramic blend or a glass blend - but whatever it is, it's high quality and really durable. To conclude, I love the brand and I love what it stands for, but that's not all - I am completely in love with the Ultra Radiance cream. I've been using this to combat dryness, but I can really see this being effective for mature skin as well. 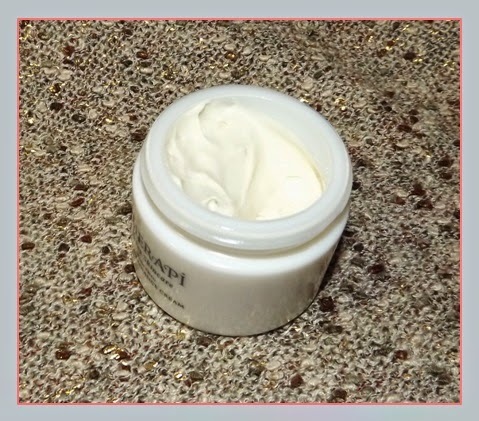 You can find this cream on the Therapi website under 'treatments' or you can click: here.